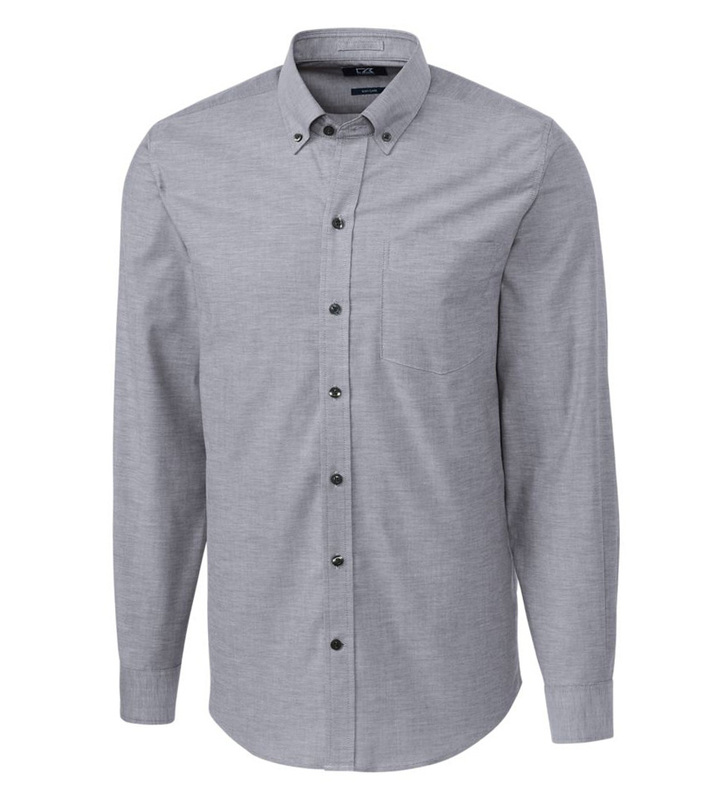 If you are looking for a long sleeve with a tailored fit, this stretch fit oxford is your ticket. Epic Easy Care is the name of the game for this wrinkle resistant shirt, plus it is made to stretch and move with you. Features include a button-down collar, chest patch pocket, and double back pleat. 64% cotton, 34% polyester, 2% spandex. Machine wash cold. Imported.